Designed to measure pH levels from 0~14 and features multi-point calibration with automatic buffer recognition and IP65 waterproof housing. 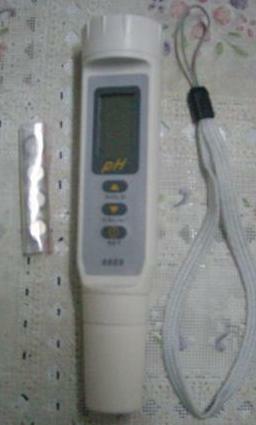 It also has dual display for pH & temperature in either °F or °C. A built-in ATC is also added to this meter so you're sure that even the slightest change in temperature WILL NOT affect the accuracy of reading results. Meter Enclosure or housing with Ingress Protection Rating of IP65 are intended for outdoor or indoor purpose. Plus, you have the option to order for extra electrode.